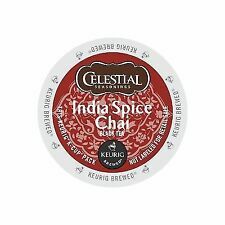 24 Count K-Cup Celestial Seasonings 'ENGLISH BREAKFAST' - FRESH!! New Stock!! 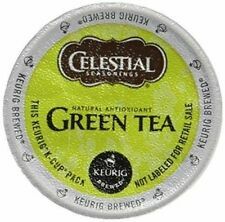 Celestial Seasonings Decaffeinated Green Tea K-Cup pods embrace the benefits of green tea without committing to the caffeine. We've blended our authentic decaf green tea with delicate, decaffeinated Bai Mu Dan white tea - one of the rarest and youngest of teas - to create a smooth, balanced cup with a pleasantly mild flavor.". Southern Sweet Iced Tea - High-quality black tea. Orthodox Union Kosher. Best buy date is 9/2019. 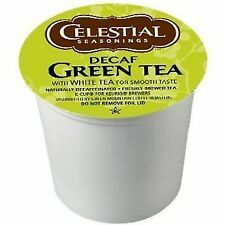 Decaf Green Tea from Celestial Seasonings. We've blended our authentic decaf green tea with delicate, decaffeinated Bai Mu Dan white tea – one of the rarest and youngest of teas – to create a smooth, balanced cup with a pleasantly mild flavor. These will brew in ALL the Keurig units including the 2.0. 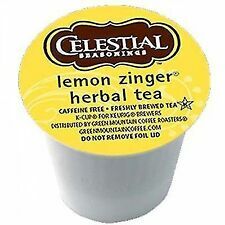 CELESTIAL SEASONINGS. K-Cup Pods. CINNAMON APPLE SPICE. 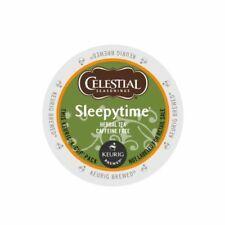 CELESTIAL SEASONINGS KEURIG SLEEPYTIME HERBAL TEA K-CUPS 24 CT NEW. THE BEST BUY DATE IS SEP 15 2018. I AM WILLING TO NEGOTIATE A LITTLE LOWER PRICE BUT THEY SHOULD STILL BE ALL RIGHT. I HAVE HAD OTHER TEAS BEFORE THAT HAD BEST BUY DATES A LOT LONGER. THANKS FOR LOOKING. 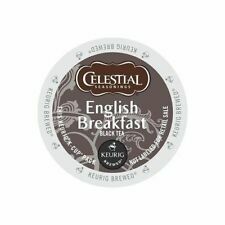 Celestial Seasonings English Breakfast Tea blends the highest quality black teas from Assam and Kenya for a robust, full-bodied brew with a bright floral note. 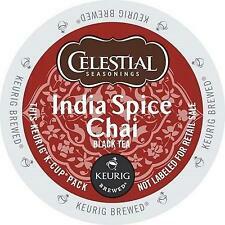 Keurig K-Cup Celestial Seasonings. English breakfast black tea is blend from highest quality black teas from Assam/Kenya for a robust, full-bodied brew! 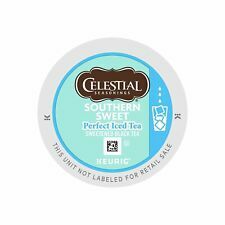 12 Count Celestial Seasonings English Breakfast Tea Single Serving K-Cup For Use In Keurig Coffee Brewers.12 count celestial seasonings English breakfast tea single serving k-cup for use in keurig coffee brewers. Full Bodied Tea For use in all Keurig brewers. We blend the highest quality black teas from Assam and Kenya for a robust, full-bodied brew with a bright floral note. For use in keurig coffee brewers. Hot or Brew over Ice for Ice Tea ! 23 of a Tea Sampler. which includes. all which is listed in the last photo # 5 photo. Item As Described is in all photos. THIS caffeine and gluten-free tea contains chamomile, spearmint and lemongrass for a cool, calming blend with an aromatic finish. DO NOT OPEN A CASE I RESOLVE ISSUES BETTER. I CANT FIX IT IF I DON'T KNOW ABOUT IT! Green Tea - Good health. Great taste. This blend brings together two delicious, Fair Trade Certified teas – authentic green tea and delicate Bai Mu Dan white tea – to create a smooth, balanced cup with a pleasantly mild flavor.